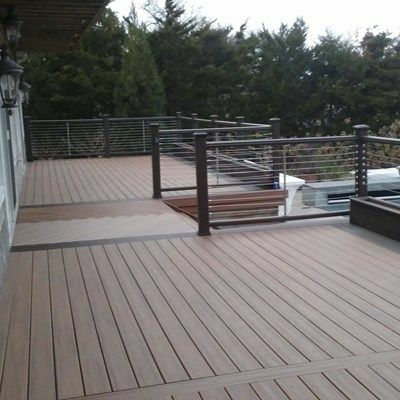 Resurface upper balcony and main deck in Trex Transcend Tixi Torch with Trex Transcend Vintage Lantern with double borders and feature boards. 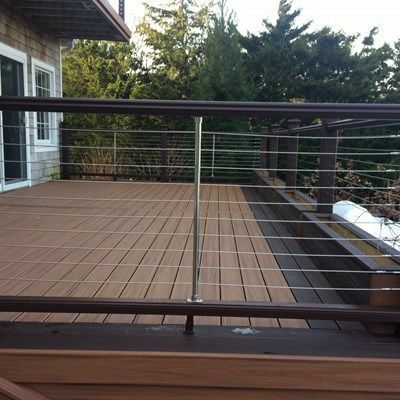 Decks Unique installed Timbertech Evolutions Contemporary railing with Stainless Steel cable in-lay for homeowner's to enjoy there view. 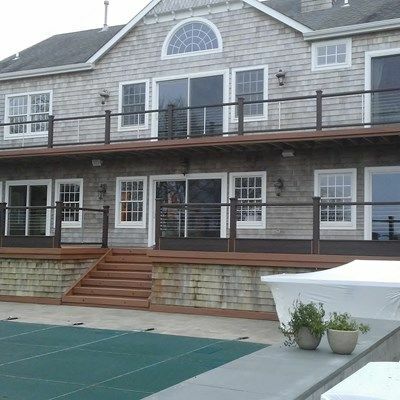 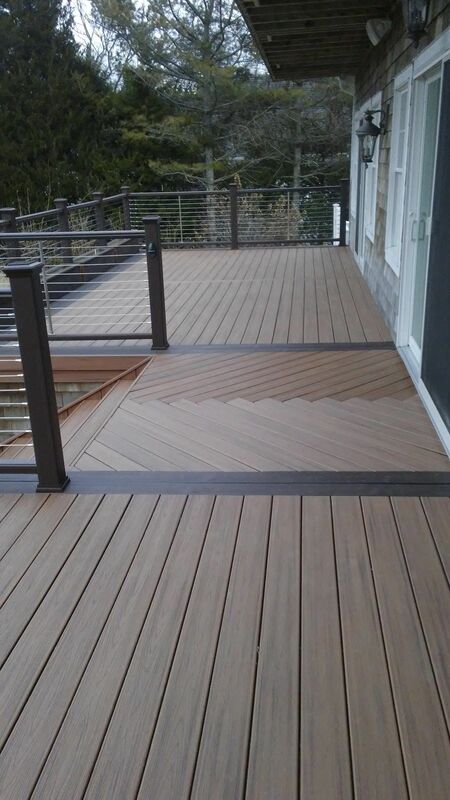 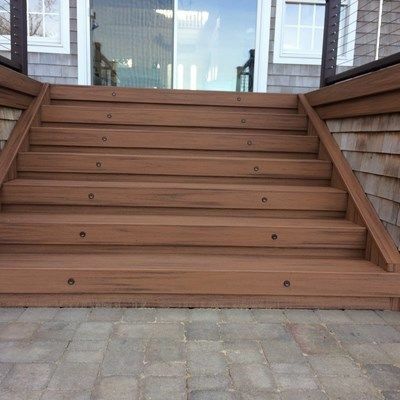 Custom Planters were installed along the front of the main deck using Trex Transcend Vintage Lantern. 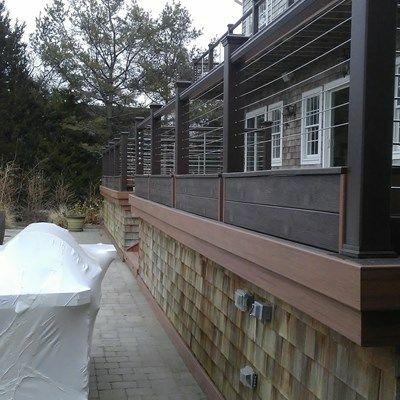 under rail lights and round riser lights were added to create a soft accent at night.